and “small gambling” (kleines Glücksspiel). While the former may take place only in licensed casinos, small gambling, with a maximum wager of €0.50 per hand may be operated without license and can take place anywhere. Small gambling, along with certain betting activities and games of skill falls under the jurisdiction of individual states, which means that regulations may vary even within Austria. In Wien, for example, even small gambling is illegal. Regulations also determine a maximum amount of gambling facilities in correlation with the population: the number of licenses cannot exceed one for every 1200 residents (one per 600 residents in Vienna). The main reasons for the strict gambling laws are manifold: the government seeks to prevent organised crime and money laundering, protect customers, especially those under the legal age, and maintain market stability. Austria’s brick and mortar casinos offer several games including blackjack, roulette, poker and slot machines. These casinos are rather posh establishments, with a strict dress code. This serves both to emphasise the elegance of the casinos and to distinguish them from small gambling venues. Small casino gambling – with wagers not exceeding 50 eurocents may be legally operated without a license. As there is no official registration of such facilities, the exact number of such gambling venues is unknown. Still, this means that anyone looking for small-stake games or slot machines in Austria can easily find a place to participate in casino gambling (except in Wien, where small gambling is illegal). Online casino gambling in Austria is not restricted by the monopoly that applies to land-based casinos. Online casino gambling operators must acquire a licence prior to offering their services online, which can be a complex, lengthy and expensive process. Also, the online gambling license Austrian gambling companies can acquire will only let them accept Austrian residents. Currently the only license holder is the online gambling website Win2Day.at. Another option for Austrian players are foreign online casino gambling sites, most of which accept players from Austria and are registered in countries, which grant them international online gambling licenses. Previously such offshore gambling websites were not allowed to advertise in Austria, but this law has since been retracted. Bingo is legal in Austria, but not as widespread as other forms of gambling are. The 12 large casinos in Austria do not offer bingo at all. Small stakes live bingo games might still be available though, as it falls under the category of small gambling, and can be operated without license. The Austria-based online gambling supersite, Win2day (operated by the Österreichische Lotterien Gesellschaft and Casinos Austria) offers various bingo games online both with a classic and a guaranteed prize system. Austrian players may also access foreign online bingo platforms, some of which are also available in German. Poker is legal in Austria, and it is perhaps the most popular form of gambling in Austria. Apart from small stakes games (limits of €0.50 or less per hand), poker games are only available in the 12 casinos operated by Casino Austria. 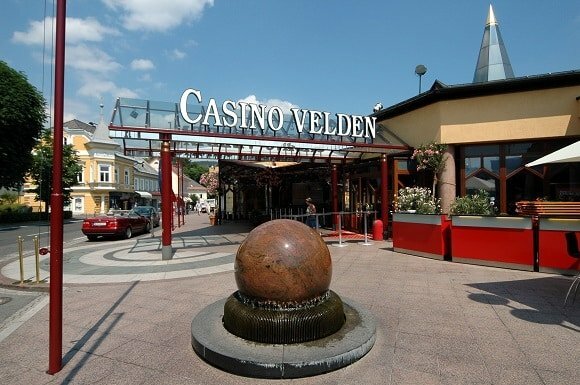 The casinos offer cash games and tournaments as well, including the Casinos Austria Poker Tour. The CAPT is a live poker tour with high stakes events in casinos of Casinos Austria, with the participation of poker pros from several countries. Online poker is likely the best option for average players who want to avoid both the local micro-stakes games and the high stakes poker in posh Austrian casinos. In 2008 the online poker and gambling platform, Win2day was founded, which is jointly owned by Casinos Austria and Austrian Lottery Company. Players can, and often do also choose international sites for playing online poker (bigger player pool, better promotions, more online tournaments), several of which are available in German. Sports betting is legal and quite popular in Austria. The favorite type of sports wagering in the country is predicting the outcome of football matches, due to the huge popularity of football in Europe. Betting shops are available throughout the country, with the largest sports betting company being Admiral Sportwetten, where horse race wagering is also offered. Permission to operate mobile and online sports betting platforms is included in the sports betting licences issued by the government. Admiral Sportwetten, for example, has an extensive online sportsbook, where players can bet on ball games, Formula 1 and several other sports. Austrian players can also access foreign sports betting websites. Lottery is a state monopoly in Austria, with the 15 year operating licence currently owned by Österreichische Lotterien. The company offers a plethora of games including Toto, Joker and 6/49. The state lottery is also available online, on the Win2day lottery and gambling platform Euromillions can be played on the website as well). However, not all of the company’s lottery and lottery type games are available online as of yet: players can only participate in 6/45, EuroMillions and ToiToiToi. These games are accessible through several other lottery platforms as well, even for players outside of Austria. Conversely, Austrian players can also participate in foreign lottos. Bitcoin gambling in Austria is not specifically regulated, and Austrian players may access Bitcoin casinos from all around the world. Bitcoin is well-known in Austria, which makes it quite simple for Austrian players to participate in Bitcoin gambling online. The country even has a Bitcoin-Automat, a sort of ATM designed to exchange Bitcoin and Euro. An overview of the legal status of casino gambling, online gambling, casinos, online casinos, poker, bingo and sports betting in Australia.